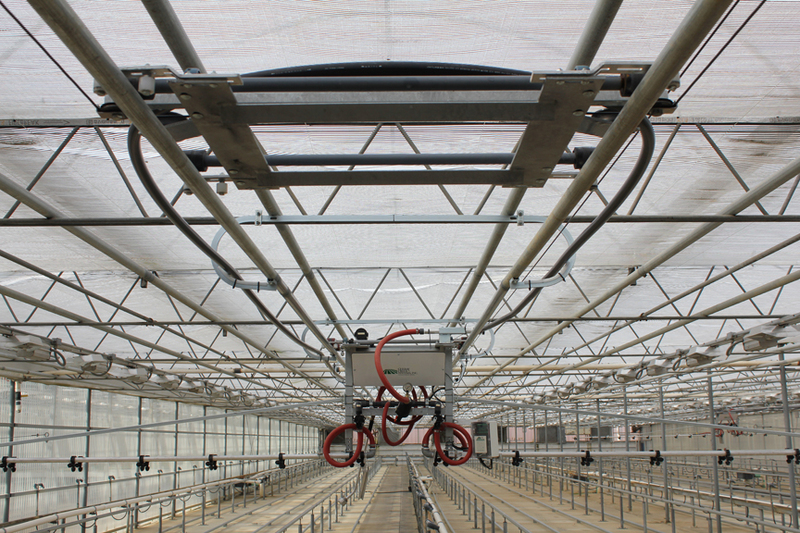 Designed with simplicity and efficiency in mind. 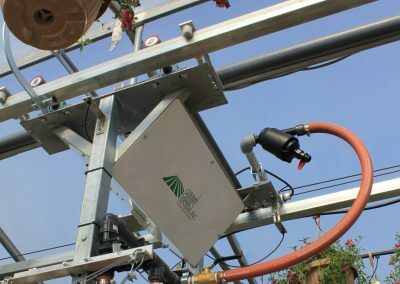 This low pressure boom irrigator is ideally suited for smaller bays with simple watering requirements like monocropping. 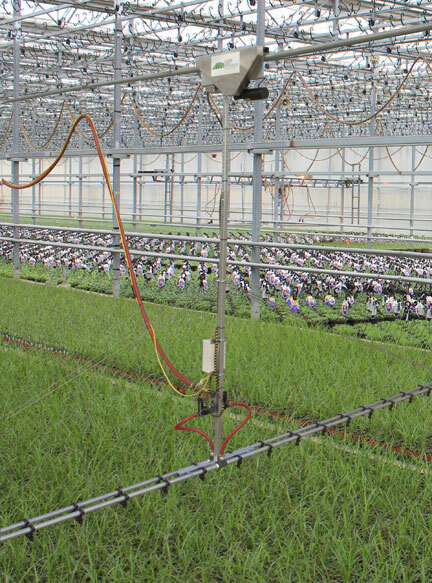 Designed to be simple, efficient and rugged, this boom irrigator is custom-built to handle almost any indoor growing environment. 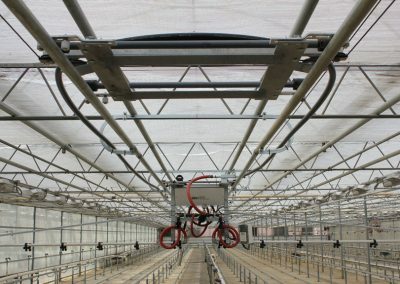 "Our most cost-effective, automated greenhouse watering system"
High grade steel, professionally-welded seams and rigorously tested components ensure that even the harshest of indoor or outdoor environments won’t prevent your low pressure boom irrigator from performing. 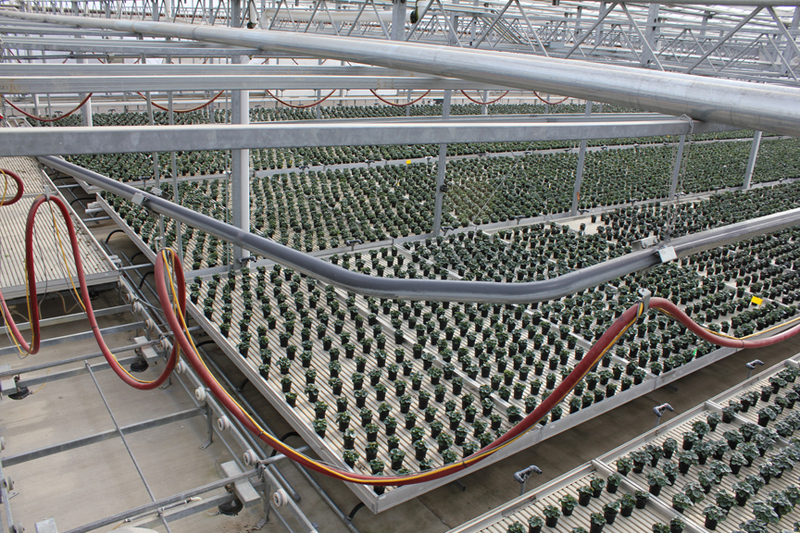 New for 2012, our new A/C motor increases efficiency and energy savings. By going to an alternating current we’ve also increased life expectancy for your automated greenhouse watering system. Not a myth. 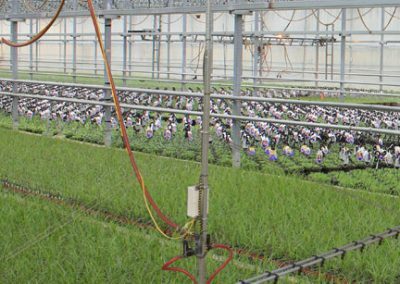 The ability to program your low pressure boom irrigator to handle extremely diverse plants within a single bay is a reality. 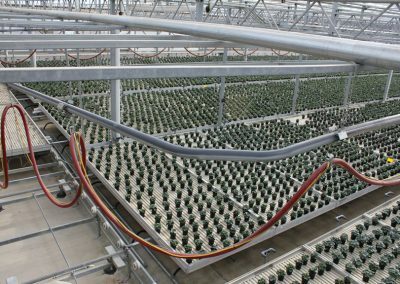 This is an important breakthrough which allows growers flexibility without sacrificing consistency or control. 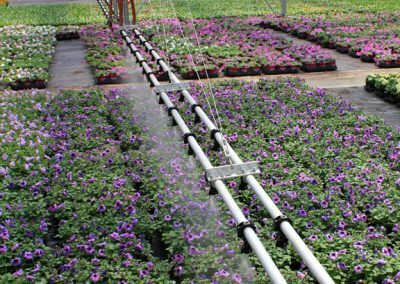 Reduce over-spray from water and chemicals, control application rates, target specific plant needs, add grow lights, reduce manual labor and more. 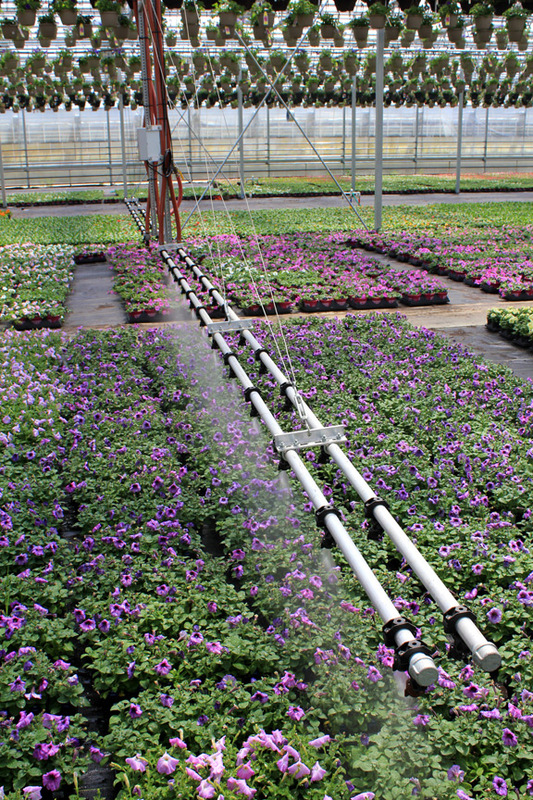 You will not find a more efficient ground watering solution anywhere. 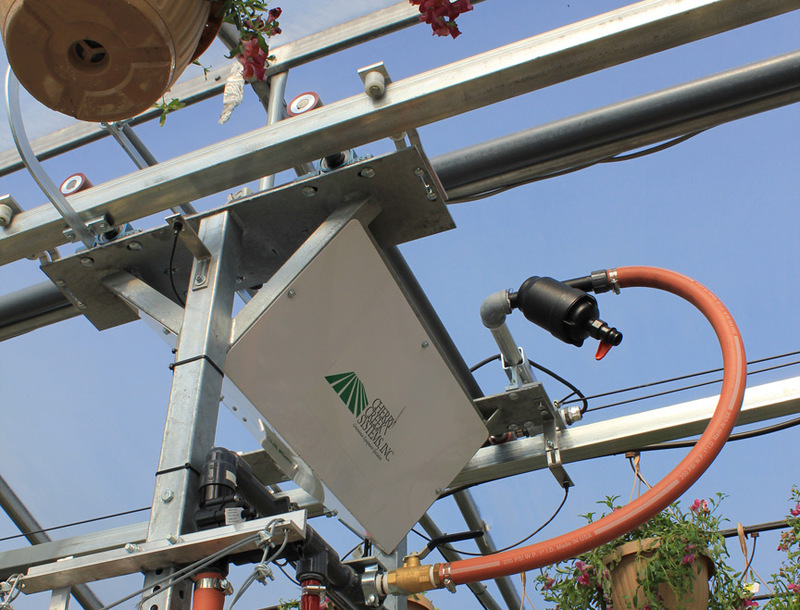 This boom irrigator benefits from very simple construction. 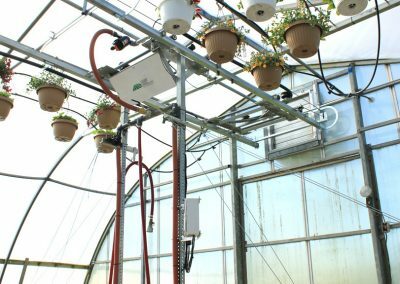 It’s built with a spray bar that spans the width of your bay and is turned on and off by the controller using a single solenoid. The entire boom rides up and down the bay on a single rail.